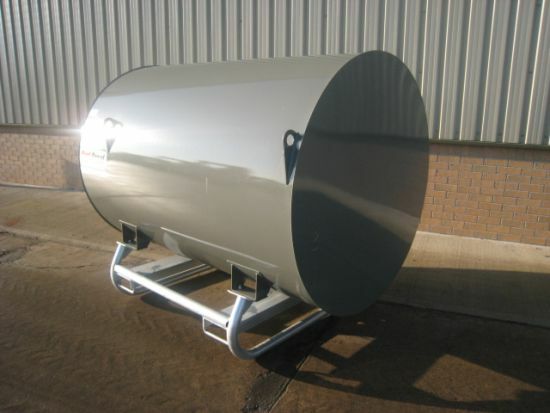 2,000 litre (440 gallon) static bunded fuel tank for use with diesel. Lockable cabinet housing pumping equipment. Galvanised tubular steel frame with forklift slots and lifting slots on tank. Available in white or grey colour. All tanks are new and unused.